November, the month to remember. The community gathered at Resurrection Cemetery to pray and sing with Sister Anne at her grave site. It is almost two years since her death. Her presence is very much here among us at the Monastery in Bloomington, and we are sure that she is blessing us with strength and courage in our move to Rochester, as we do what is necessary in caring for the needs of our Sisters. 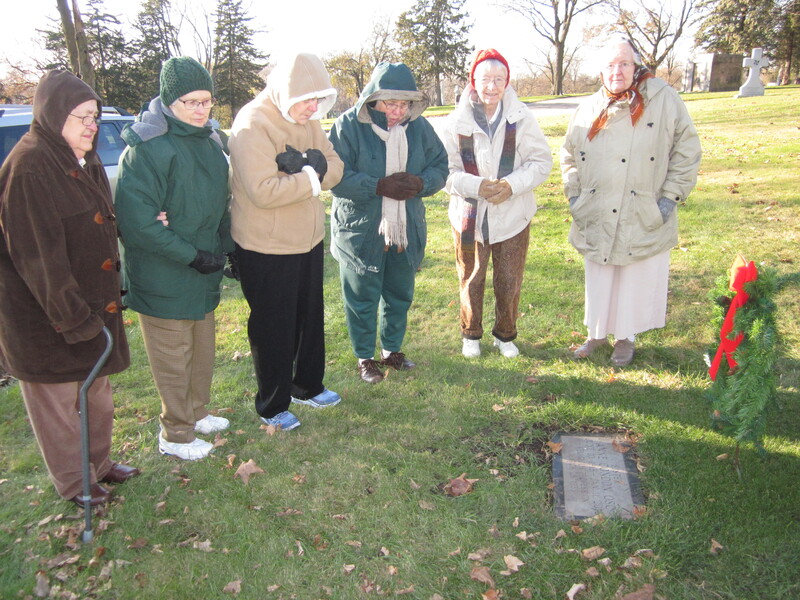 Remembering Sister Anne this November.